While we’re waiting for Round 2 to finish up, let’s take a look at another of the new prizes offered here in Toronto. 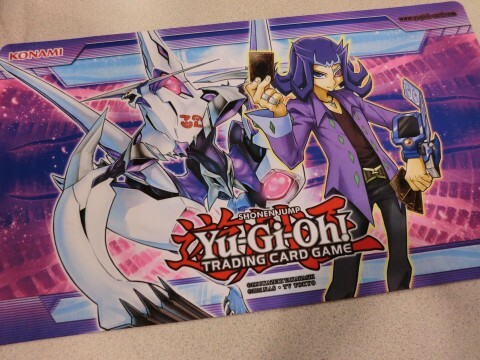 For the first time competitors in Win-A-Mat Public Events will get a shot at this brand spanking new Shark game mat, featuring Number C32: Shark Drake Veiss. The mat’s proving really popular here this morning, largely because of the slick color profile. The purples and pinks give it a lot of pop, and it’s looking to be a hot prize this weekend!